Hey all you budding writers! Once again, it’s that time of the year! We are now accepting submissions for Creative Writing Competition 2017! The closing date for soft-copy entries is 31st January 2017, and corresponding hard-copy entries must be received by 31st January 2017. Submissions for Creative Writing Competition 2016 are now open. Closing date for soft-copy entries is 31st January 2016, and corresponding hard-copy entries must be received by 31st January 2016. Here are the talented and lucky winners of CWC 2015! Congratulations to all winners and a great big thank you to all who bravely tried their hand at writing! We hope all of you had a great time at EPM 2015, and thank you once again for making this event possible. 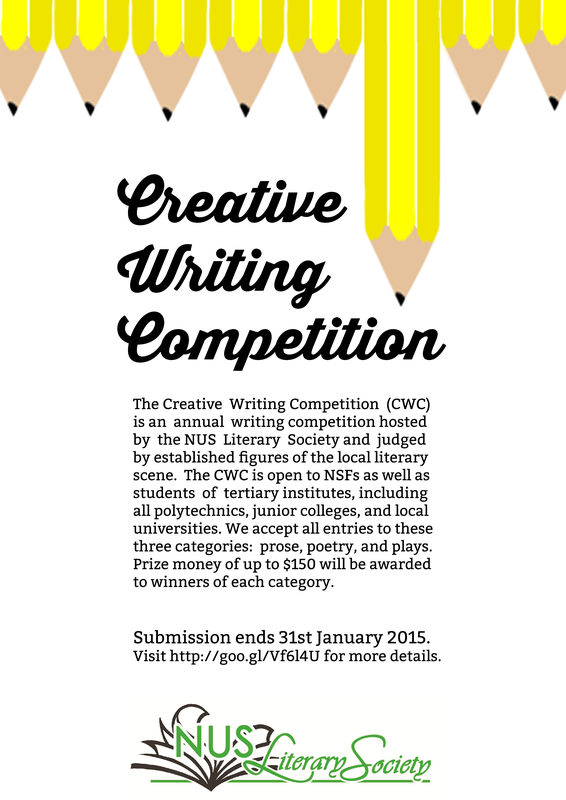 Submissions for the Creative Writing Competition are now open. 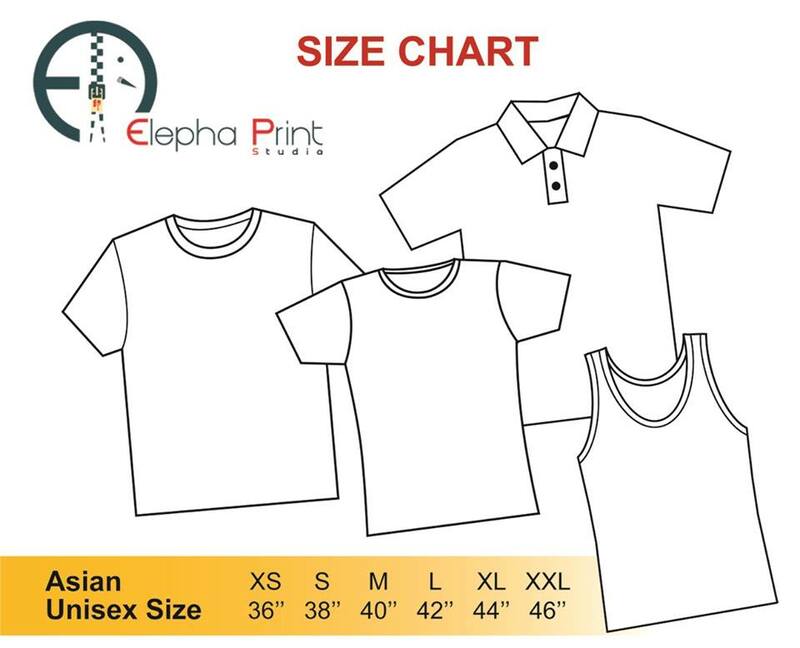 Do note that the closing date for soft-copy and hard-copy entries is 31 January 2015, 2359 hrs. This year, there are three categories for submissions – poetry, prose and plays. We are pleased to announce that the judges for the three categories are Felix Cheong, Ann Ang and NUS Literature professor Dr Gilbert Yeoh respectively. Felix Cheong is a poet and a recipient of the National Arts Council (NAC) Young Artist Award for Literature in 2000. An active promoter of the Singapore literary arts scene, he currently works as a freelance writer and is also the chief editor for art-e, an ezine by the LaSalle-SIA College of the Arts. He is also an adjunct lecturer with Murdoch University, University of Newcastle, Temasek Polytechnic and LASALLE College of the Arts. His latest work is Singapore Siu Dai 2,a collection of satirical flash fiction. Ann Ang is a poet and educator, and has recently been involved with the Singapore Writers Festival (SWF). Her first collection of short stories, entitled Bang My Car, was also launched at SWF 2012. Her poetry, fiction and non-fiction works have been published in many journals and publications such as the Quarterly Literary Review Singapore and the Kartika Review. She is also a volunteer nature guide at Sungei Buloh Wetland Reserve. Dr Gilbert Yeoh is a senior lecturer at the National University of Singapore (NUS), and his teaching areas centre on twentieth century literature.He is also our current faculty advisor, and has provided us with much-needed guidance from time to time. Do read the submission guidelines thoroughly when submitting your work(s). The entry form can be downloaded here: CWC 2015 Entry Form. 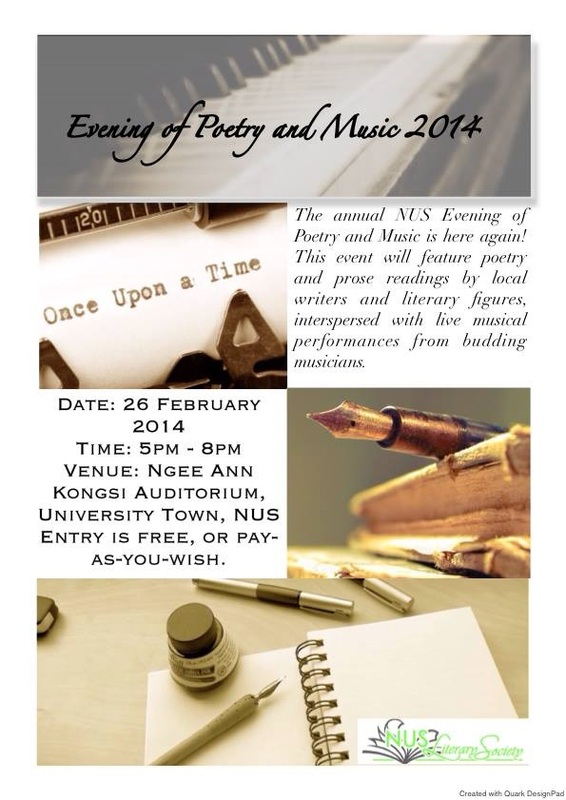 The Evening of Poetry and Music will be held on the 26th of February this year! It will be held at the Ngee Ann Kongsi Auditorium at University Town NUS from 5-8pm. Dinner will be provided. As part of our long-standing tradition, we will be inviting the winners of the Creative Writing Competition 2014 to read excerpts from their winning entry. We have also invited some exciting guest performers like Jonathan Meur to grace the event. Entry for the event is free-of-charge. However, we will be implementing a pay-as-you-please system at the end of the event. Do come down and join us for a wonderful evening! Submissions for the Creative Writing Competition are now open. Do note that the closing date for soft-copy entries is 31st December 2013, 2359 hrs, while the deadline for hard-copy submissions is 5th January 2014. This year, there are three categories for submissions – poetry, prose and plays. We are pleased to announce that the judges for the three categories are Felix Cheong, Su-Chen Christine Lim and Verena Tay respectively. Felix Cheong is a poet and a recipient of the National Arts Council (NAC) Young Artist Award for Literature in 2000. An active promoter of the Singapore literary arts scene, he currently works as a freelance writer and is also the chief editor for art-e, an ezine by the LaSalle-SIA College of the Arts. Su-Chen Christine Lim is one of Singapore’s leading novelists. In 2012, she received the Southeast Asia Write Award for her body of work. Her new novel, The River’s Song, will be launched during the Singapore Writers’ Festival 2013, and in London 2014. Verena Tay has spent 25 years acting, directing and writing for local English-language theatre in Singapore. She created various solo and collaborative performances, often based on original, self-written material, while as an Associate Artist with The Substation (2002‒09). Upcoming Activities in Semester 1! It’s the start of the new semester again, and we have a slew of activities and updates for you! Pretty much what it says on the poster. If you’ve any interest in the literary arts at all (or better yet, already plan to take a course in English Literature, Linguistics, or Theatre Studies), we would like to get to know you. Come on down and meet like-minded people whom you’ll come to call friends in the years to come. Like to talk about books? 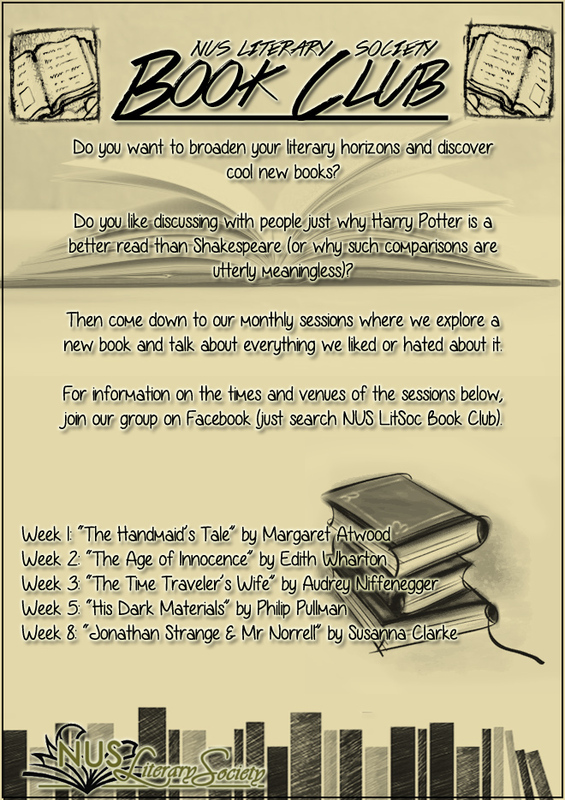 Come and join us for our book club sessions. This semester, we talk about contemporary classics and bestsellers – five of them in five separate sessions! *The Handmaid’s Tale is one of the texts in the module EN4241 Utopias and Dystopias. Kill two birds with one stone by coming down for the session! Once again, the poster says it all! 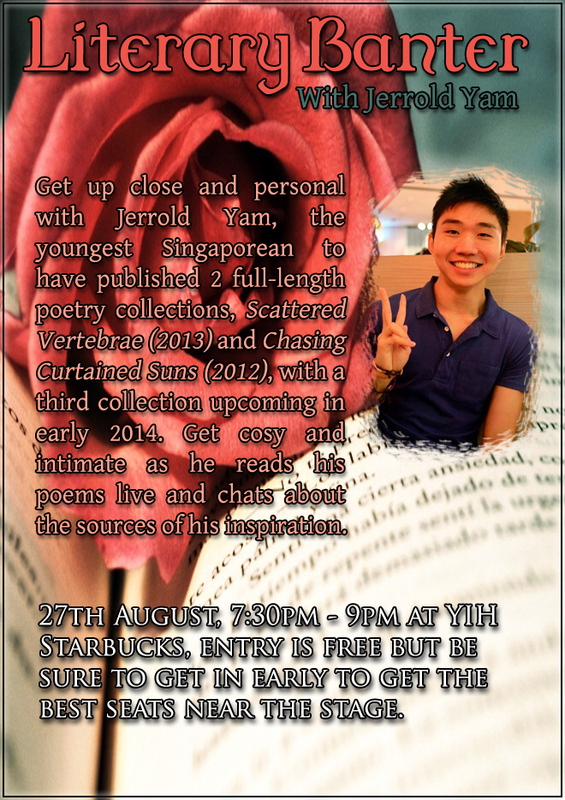 Aspiring poets can do much worse than to come and pick the brains of our established poet, Jerrold Yam. If you’re coming, do buy a drink from Starbucks as thanks for lending us the lovely venue. And that’s what we have planned for the first half of the semester. 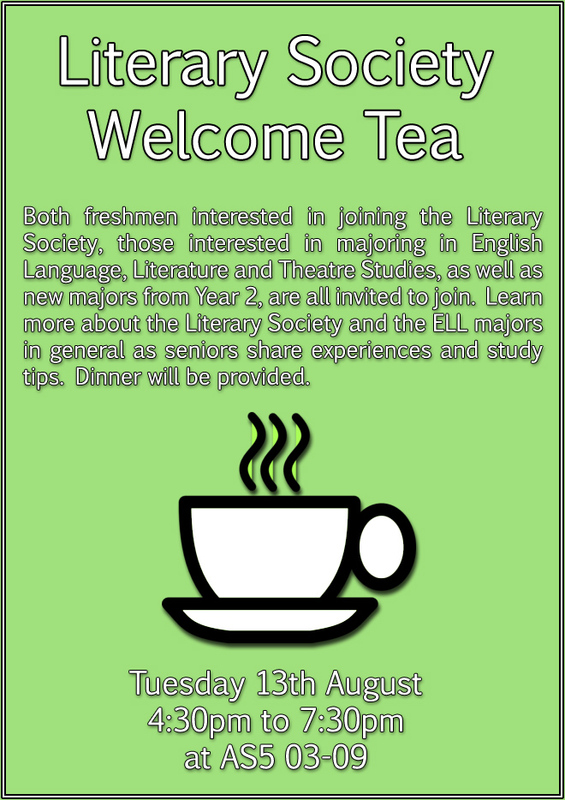 If there’s anything else you would like to see implemented, do drop us a note at nusliterarysociety@gmail.com or better yet, come down to the Welcome Tea and tell us in person. Have a wonderful semester ahead!